Aquariums adorning the homes of hobbyists are private ecosystems, specifically oriented to add a visual component to the living space. Thus, home aquarists necessarily obtain live organisms from the “ornamental” aquarium trade. Comprised of aquatic organisms from any aquatic resource (e.g., freshwater, saltwater, captive raised, wild caught), this trade utilizes animals humans do not connect with on a regular basis. Home aquarium keeping, specifically the saltwater form of participation, requires daily contact (i.e., care) with the system and the organisms within. The contact people have with aquatic organisms through the captive environment is an understudied area of research, specifically at-home hobbyists. The main premise of this study was to investigate, using ethnographic methods, the interaction between saltwater aquarium hobbyists and the activity of at-home aquarium keeping. The serious leisure and specialization frameworks provided a guide to this study. These constructs have delineated various forms of participation in other resource-oriented leisure activities such as birdwatching and boating. These hobbies affect wild resources, and when explored using specialization, managerial recommendations become evident. Due to increased focus on the aquarium industry as an under-regulated wildlife trade, these two constructs provided the opportunity to not only understand the participants in the aquarium hobby, but also identify management ideas to create a sustainable aquarium hobby. 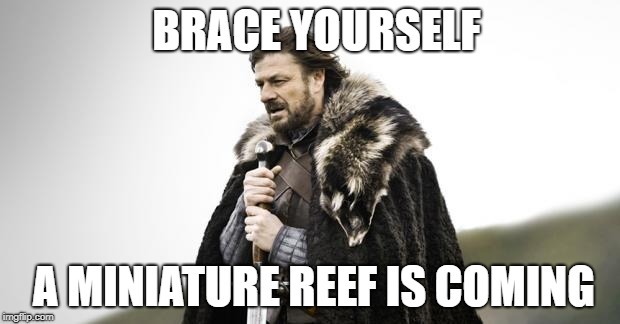 Specifically, this study found saltwater aquarists are serious in their hobby from the onset. Without serious effort, the organisms die and the activity ceases. Likewise, keeping aquatic organisms alive requires the hobbyist to gather information in order to continue participation. Some acquire knowledge through research (i.e., sources); others prefer second-hand information (i.e., sinks); both rely on the social world. In addition, these results indicate saltwater aquarists are motivated to continue participation towards what I describe as the pinnacle of participation, an aesthetically pleasing miniature reef display in their home. This endpoint requires the hobbyist to persevere through stages of involvement, each building on the last. Progression towards a reef aquarium requires the aquarist to increasingly think, and understand the captive ecosystem, much like a scientist does. A further result of this study delineated several scientifically oriented niches of specialization in which a hobbyist could demonstrate expertise. Niches enable successful reef hobbyists to find a place of distinction, and personal identity, within a challenging hobby populated by a number of other capable participants. In many ways, these niches resemble scientific specialties or branches of study. These results have managerial implications for the sustainability of the hobby, specifically tied to the sustainability of the wild resources in which it depends. Saltwater aquarists can form a close association to the organisms within their care, and the places in which they are captured (i.e., ex-situ place attachment). In addition to a budding conservation-orientation, a major contribution of this investigation was the connection between leisure and science. Further studies should aim to untangle this connection, the potential for aesthetic motivation to mediate the two, and the ability of the hobby to create scientific niches that facilitate scientific careers. I collected coastal plastic at Sea Rim State Park, in East Texas on May 3 2018. Some of the most common items included plastic straws, tampon applicators, fishing gear, cigarette butts, and smoking tips. These items are potentially easy to replace. Plastic applicators are not the only option for women, and plastic straws can be omitted from daily life with preparation. Come by and check out the display on the fourth floor in the RPTS departmental offices! 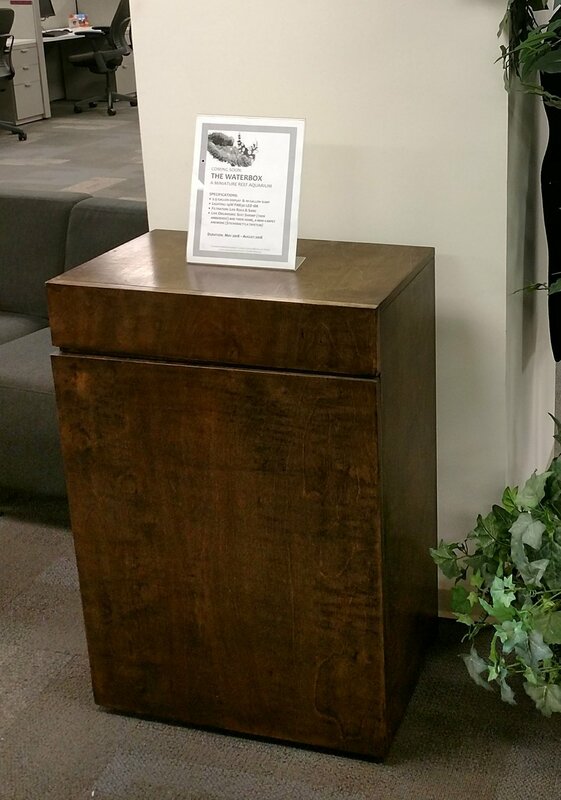 This is a pine wood aquarium stand made by Daniel Powell, a graduate student in the Biology Department. It was handcrafted and has holding space for the filtration and plumbing inside. Open it up and check it out! 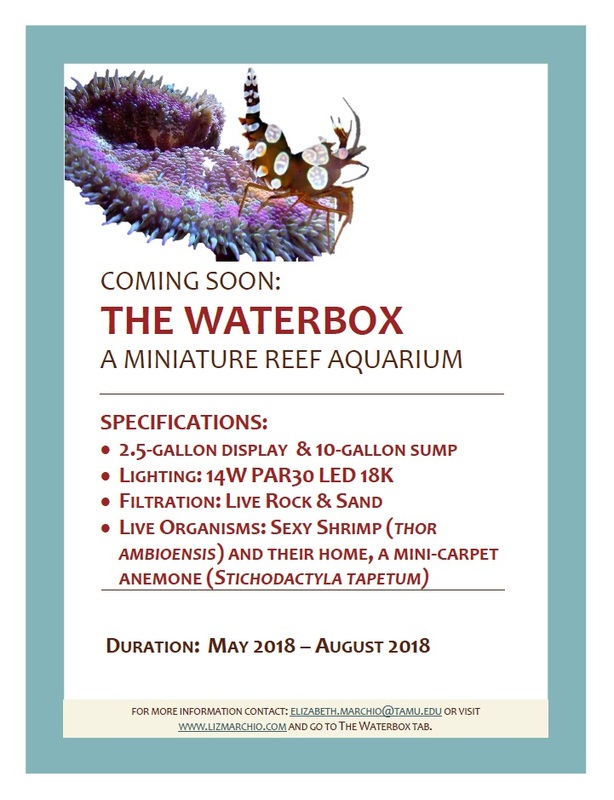 A Miniature Reef Aquarium is Coming to RPTS!